This week’s TWD recipe is Abrorio Rice Pudding, white, black, (or both), selcted by Isabelle of Les Gourmandises d’Isa. (If you’re completely lost as to what I’m talking about, read this entry for a quick explanation of TWD.) The “white” is vanilla and the “black” is chocolate. I’m a huge fan of rice pudding, but I’ve never had it with Abrorio rice and I’ve never had chocolate, so I was really looking forward to trying this out. One thing I noticed is that the recipe doesn’t have any eggs, which was surprising to me. What I did: I cut the recipe in half because I’m the only rice pudding fan in the house. Half a recipe makes two servings, so I made one serving of vanilla and one serving of chocolate. I also wanted to try one of Dorie’s ideas for “playing around” so I steeped some raisins in Grand Marnier and stirred them into each flavor. How it went: Well I thought it went OK. One thing I noticed is that the milk kept forming a skin. The recipe said to stir occasionally, but I kept getting a skin even though I was stirring every few minutes. I simmered it for almost 30 minutes and then the rice was tender, so I poured it into bowls, added the flavorings and raisins, and put it in the fridge with high hopes. The next day, I took it out and realized that it was really thin. Crap. My best guess is that I didn’t simmer it long enough. The recipe said not to worry if it wasn’t thick because it will thicken in the fridge. I guess I should have worried. 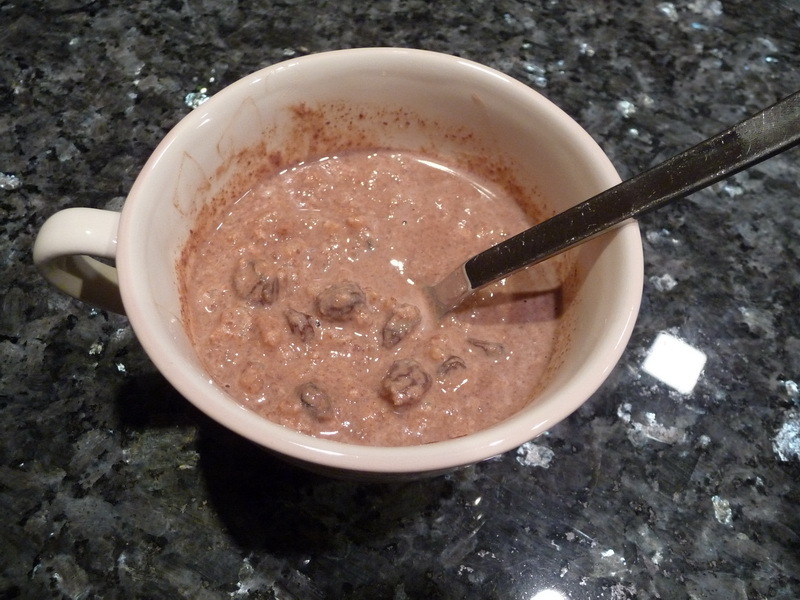 How it tasted: It tastes ok, but it’s kind of like sweet milk (and chocolate milk) with rice, which just isn’t the same as a creamy, thick pudding. The boozy raisins are awesome, though, so I’ll pick those out and enjoy them. Would I make this again? : I should give this another try and simmer it for longer. 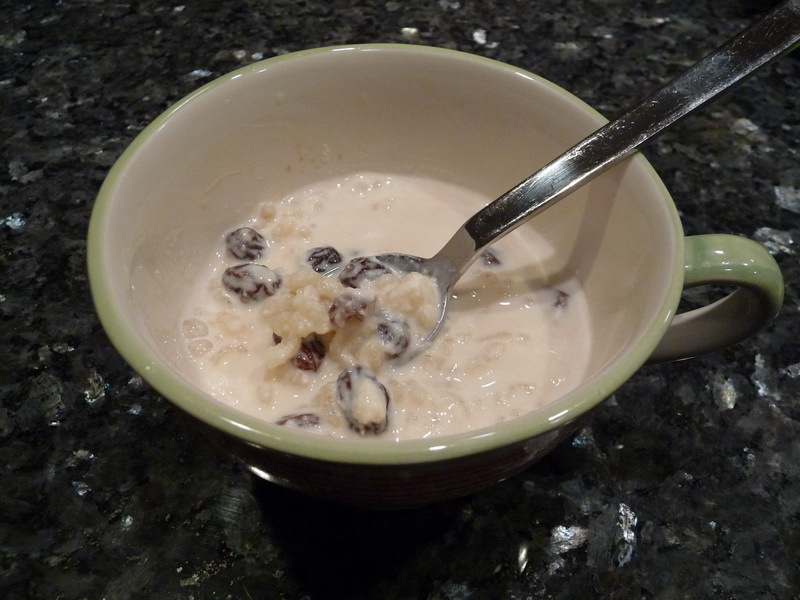 The Grand Marnier raisins have great potential, so if I could get the pudding part to work, I’d be in business. I’ve also eaten coconut rice pudding and would like to give that a try. Update: The consensus from the other bakers is that the pudding needs to cook for longer. A couple of people even put theirs back on the stove the next day after it didn’t thicken in the fridge. And then…Dorie herself posted on the site to apologize that the directions in the book are incorrect: the pudding needs to cook for 55 minutes. I’ll make a note in my book for next time! I love rice pudding and it is hard to find a good recipe! I am with you…would really enjoy a coconut rice pudding. Hi Ina-I couldn’t edit your comment to add your website, so I’ll put it here in case anyone wants to look at your adorable dogs!